To celebrate that freaky crystallized water that has been falling from the sky lately, we are making our offering to the Snow Gods: use the coupon code SNOWDAY during checkout between now and the end of the day on Sunday (Feb 28th) and get 15% off your entire order (excluding customs). Please join Danish artist Lisa Grue for the opening of her solo show OWLS HAVE MORE FUN tomorrow, February 25, 7-9 pm, at gallery hanahou! Thursday, February 25th, 7-9 p.m.
Just got word direct from Toy2RUSA that they're gonna be teaming up with apparel company Fifth Sun to create a line of Toy2R apparel. No further word on that. Frustrating but also very cool. I think as a retailer I am literally required by NY State law to rock some of that gear... can't wait to see what they come out with! DR. 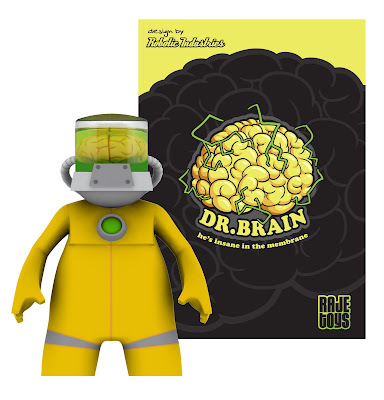 BRAIN, a 7.5-inch vinyl figure, will have a limited production run of only 500 units worldwide (that's 450 units regular colorway and 50 units of the chase). Coming in mid-2010, the retail price will be $59.95. It is the “brain-child” of ROBOTIC INDUSTRIES’, and RAJE partner, Jim Freckingham. 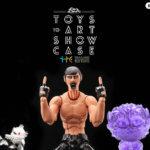 Borne out of a passion for the growing urban art and designer-toy sector, RAJE have created a business model that aims to introduce exciting, unknown talent to the market, as well as work with some of the greatest names in the designer-toy industry. RAJE will be showcasing the DR. BRAIN figure at a special launch party (TBA) in the UK - a signing event for retailers and collectors alike. Retailers who would like to attend can contact RAJE TOYS via its website. RAJE TOYS LTD was formed in November 2009 by Richard Emms, Adam Boreham, Jim Freckingham and Eddie Deighton -- a highly unique collaboration of retailers, designers and marketeers with over forty years collective experience between them. 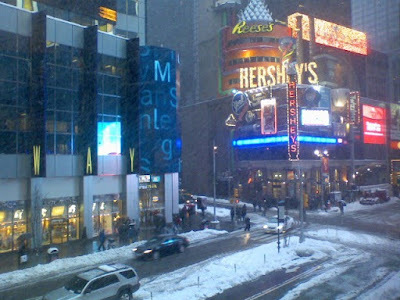 Richard Emms has run and managed several successful retail stores over the past three decades. He is also co- owner of NYC-based Ardden Entertainment LLC - publishers of the new Flash Gordon and Casper the Friendly Ghost series. Adam Boreham is the lead designer for Reaction Visual Media, a design agency based in North Hertfordshire, where he has worked for clients such as Red Stripe, G Casino, Gleneagles Hotel and Kelloggs amongst others. He spends most of his spare time hurting himself on his skateboard or training in mixed martial arts. Jim Freckingham has over 10 years modelmaking experience, most of which was gained in the toy industry. During that time, he has worked on licensed toy lines including The Muppets, Harry Potter, Dr Who and Lord of the Rings, to name but a few. As founder of Robotic Industries, Jim is always looking for ways to expand his toy robot collection. Eddie Deighton is Founder and Creative Director of successful design and advertising agency, An.x. He is also co-owner of Com.x, one of the most prolific comic publishing companies to appear in the publishing sector over the last ten years. He brings a wealth of creative, management, screenwriting and IP creation skills to the company. 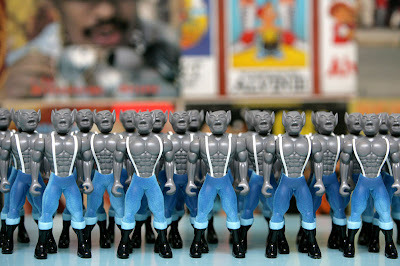 Check out RAJE TOYS on facebook & twitter. 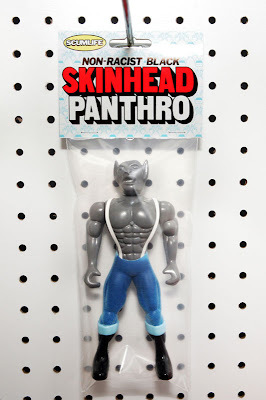 Non-racist Black Skinhead Panthro bootleg non-action figure, made of resin by Tone Tank of Scumlife. 24 pieces made, $24 each. Buy one here. We take for granted the things we have but being without everyday necessities, like water and shelter can be devastating, especially for children. Helping make a better tomorrow for the people of Haiti includes bringing happiness back to the children. Toy2R is collaborating with Artoyz in France and Apex in the US to release thisvery special edition 2.5” Happiness for Haiti Qee Bear. 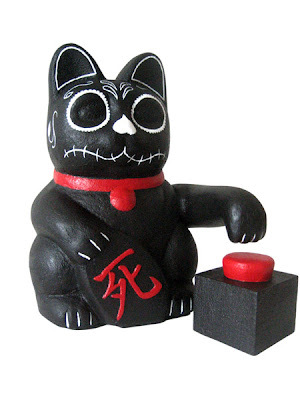 Limited to 500 pieces – this Qee can be purchased directly from Toy2R, Artoyz and Toy2R-USA. The proceeds from each sale will go directly to the American Red Cross to help their relief efforts in Haiti. 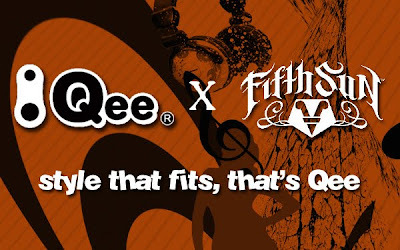 Help bring the back smiles to the children of Haiti with the purchase of this limited edition Qee.